Some readers may be well aware of the five stages of grief, the natural process of grieving, which, according to Kubler-Ross, move from denial to anger to fear to grief and finally to acceptance. As others have pointed out, the same five stages apply to virtually every serious life event, including being diagnosed with a chronic or severe illness. Now that we have come to appreciate that obesity is a chronic disease (for which we have no cure! ), it should come as no surprise that these five stages also apply to obesity. First comes denial: not denial that I am gaining or have put on weight – that is obvious enough. Rather, denial that this may be a real problem or may have serious consequences down the road. A normal response in this stage is to not want to know about it. I don’t see a doctor because I don’t want to hear that I have a problem. I don’t listen to advice because it doesn’t apply to me. I don’t weigh myself because I don’t want to know. Pseudoacceptance – it may be as it may, but if that’s the case, then that’s the case – don’t tell me I have a problem and don’t tell me I need to do something about it – leave me alone! Second comes anger: often it is the anger that fuels the denial. Anger at my body. Anger at myself. Anger at the people around me (including those offering help or understanding). Anger at life in general. Why me? Why this? Why can I not stop myself? Why can I not stick with my diet or exercise plan? Nothing works! Third comes depression: this phase is characterized by sadness, a sense of loss, despair, anxiety, fear of what is to come. What if this weight gain continues? What if my health problems get worse? I don’t want to be the “fatty” that people make fun of. I don’t want to be ridiculed in public. I don’t want my pains to get worse. I don’t want to end up in a wheelchair or have diabetes or sleep with a CPAP machine. There will be restrictions – giving up things I love. It will mean effort – doing things that I don’t care for. No longer can I live like I used to or like others continue to – lucky them! Fourth comes bargaining: OK, I get that I have a problem but really, there must be some simple way out of this. If I can only find the right diet or right exercise or maybe cut my carbs or go vegan or get myself tested for food allergies. How about I just give up the white stuff, or the fat, or the pop? What if I buy a treadmill and religiously used it every day? How about I just share my story ? May be someone will help me – or I will find the strength. I have been successful in every other aspect of my life – so really – how hard can this be? Fifth we reach acceptance: This is where I finally accept that I have this problem and reach the point where I am ready to move on. Once I accept that this problem is not simply going to go away, nor will it be fixed by another quick diet or weight-loss supplement, I reach the stage where I accept that I need to become more realistic about the solutions. I am now ready to find and accept the help I need (and fight for it if I have to) or I am ready to accept that this is what I will have to live with for the rest of my life – so let’s make the best of it and move on. Research shows that these stages are not perfectly sequential – often they occur in parallel and even regress or sometimes flip-flop from one stage into another. That is perfectly natural. Some folks may never move beyond denial or anger, some may be stuck forever in depression or bargaining. Even those, who have accepted their situation may occasionally regress (e.g. the surgical patient who is in denial having to take his vitamins). At this point it is important to point out that acceptance does not simply mean accepting the status quo. Rather, acceptance means accepting the fact that I need to now deal with this problem the best I can. If I need to become a marathon runner to conquer this weight, so be it. If I need to open my soul to a psychologist to work through my childhood trauma, then that’s what I have to do. If in the end the only solution is bariatric surgery – bring it on. If this is what it will take – I am now ready to accept it, embrace it, use it to my advantage. I am now ready to stand up to bullies and the “wise guys” who have all the answers. As health professionals, it is important that we recognise what stage our patients is at. The denial and anger stage are not the best time to discuss diet plans. Nor is the depression or bargaining stage the best time to bring up the topic of surgery or lifelong medication. With true acceptance comes hope and a positive change that sets the foundation of whatever is to come next. This is no longer the time to point fingers, assign blame, nurse regrets, hide in shame, dissolve in despair. Things are as they are and I accept them. But, as they say, when life throws you lemons, reach for the tequila! If you have experienced or can relate to these stages – I’d love to hear your story. 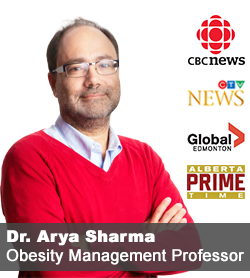 I am slightly confused on the denial part where you say “that this may be a real problem or may have serious consequences down the road.” Do you consider it denial if someone is overweight or obese (by the BMI chart), is weight-stable, has good health measures, exercises and eats a mostly healthful diet? Or are you specifically referring to someone a little higher on the Edmonton Obesity Scale by this? That would be more in line with my understanding of your general message, but it’s not clear to me here. I guess I feel a little touchy on this one, because this smacks of the “Vague Future Health Threat” a lot of people get hit with by their doctors and pretty much all of society the instant they get above BMI 25.0. Any argument that says “really, I’m healthy,” is countered with the idea that we’re in denial. EC – if your weight is not really a problem then this is not a question of denial – after all there is nothing to deny. But, let us be honest, the vast majority of people with excess weight do have a problem – people who don’t, make up a rather small healthy minority of fat people. If this is where you belong, good for you. You hit the nail on the head every single time. This blog is full of win. Thank you! I’ve gotten a lot of response to a section in my book where I write about how going on a diet takes a person through stages of struggling with a sense of control. You pick a day to start a new diet and make a plan. The planning gets you all motivated and excited. At first, you stick to the plan very specifically and it makes you feel proud of yourself. You have a sense you’re “doing something” to solve a problem and you’re being good at it. The diet plan imposes changes on your regular routine and lifestyle that are difficult to maintain so little by little, it starts to break down. The breakdown usually begins with a temptation to eat something off the diet plan so you bargain with yourself that you’ve “been good” up to this point so you deserve a treat and it’s OK. The diet plan becomes more difficult to maintain over time so the bargaining gets bigger. You fall off the diet one day so you consider that day a total loss, you might as well eat whatever you want. You do it because you bargain with yourself to be back “on” the diet tomorrow. Eventually you consider the diet a complete failure. You bargain with yourself to be “off” the diet and decide it’s over. You eat whatever you want in an “off” a diet manner until the day that you decide you will start your new diet. You feel OK about what you’re eating as long as you stick to the terms of the bargain you make with yourself. You start the cycle over again. People have written to me that they do this all the time and they realize they’ve used up months and years of their lives living like this. I know I did. Dagny – you perfectly describe someone stuck in the bargaining stage. This person has not yet fully accepted that changes have to lifelong and that the expectations have to be realistic. I know hundreds of people (probably most people trying to lose weight), who are stuck in the bargaining stage and never make it to full acceptance. I would like to share a little correction to your premise, based on my limited time as a lay chaplain. These are the Kubler-Ross stages of death. They are what people go through from diagnosis to final chapter of life as they confront their own mortality (and, as you rightly point out, the order is not set — though bargaining is usually listed before depression). The stages of death are frequently confused with stages of grief, and often misapplied, especially in early grief. The first stage of grief — when one learns that someone dear has died — is chaos. The grieving person may bounce back and forth from feeling numb to feeling profound sadness to feeling uncharacteristic emotions. Often friends see the numb stage or an uncharacteristic emotion and inform the poor griever that he or she is in denial and must move on. This is unhelpful. It makes the grieving person feel guilty for something that is natural. DebraSY: You make an important point – all of these stages are “natural” and even “healthy” as part of the process. Thus, for e.g., although it sounds negative, “denial” is a very healthy initial response, so is “depression”. The problem is when people get stuck in one of the other stage or fail to eventually progress to acceptance. The notion of thinking of this as a staged process (not always linear) is for the professional to recognise where your patient is at and counsel appropriately. As I said, trying to talk someone, who is in the denial stage into addressing the problem will only create defensiveness. This is awesome Dr Sharma. Thank you for putting this together. As a Dietitian I see people battling with their weights all the time and some days I struggle to help them. I use the stages of change, but this is excellent. Thank you. 1. The bottom layer is the pain that started it all. Whatever drove us to seek comfort, solace, numbness in food, over and over again. Most of this probably started very early in our lives and was not our fault. 2. The next layer contains the real physical effects of being obese: diabetes, cholesterol, heart disease, fatigue, joint deterioration, etc. 3. The next layer contains the self-loathing that we cannot control this thing that eats at us. 4. Another layer is all the unkind judgmental things that others have said to us, well intentioned or not. 5. …all the times and ways that others have tried to “help” or “fix” us by controlling us. 6. …all the misinformation and unhelpful advice that we have received directly or indirectly. 7. …the isolation we seek in order to avoid being hurt again. 8. …all our other needs, wishes and desires that cannot be fulfilled because of our obesity and/or others’ attitudes. Linda: The Layered-Cake of Obesity – interesting idea! I’m with EC. I am super healthy and fit but with a BMI over 30. So am I in denial? No, actually bargaining, most of the time and sometimes acceptance. But EC is right, there is a constant pushback to doctors that the BMI does not mean I have any illness which I am denying. But I am curious about your comment about numbers, Dr. Sharma. What is the percentage of EOSS 0 or 1 in the population of people who have BMI’s over 30? Are we a tiny minority or are we sizable enough to warrant attention to what genetic factors drive our ability to be fit, strong and fat? Pierrette & I live with these steps everyday.We have “been there,done that”.When we talk to others that are still in denial we no longer try to convince them. Until they reach the other factors, we are talking for nothing. I know of “no” people that are obese and exercise regularly and eat properly. Those that say they do are full of it and are in real strong denial. People that are obese simply eat all the time because they are always hungry.I know.I did also. When I changed my lifestyle and realised that I can eat healthy foods and be totally satisfied, then and only then did I really join “my fight” to become healthy. As usual, I find myself offering a contrary voice. I believe from experience, that these stages are better understood as interwoven threads. Rather than experiencing them one at a time, a person who is gaining weight cycles through them often on a moment by moment basis. All the threads exist in the same time and space but the person is more focused on one or the other. This is not nearly as true for grief, but it is true for weight management. What this means for a qualified and caring CBT is that you are not required to wait for the client to transition into acceptance, you can help the client shift focus and change perspective. You can help the client find motivation, strength and purpose. We are complicated and powerful. Within each one of us, at every single moment,lives the potential to simply make another choice. Elina – you are bang on that these stages are interwoven (which is why I chose the image of the ribbon for the illustration). I also agree all all these stages can co-exist from minute to minute, from day to day. A skilled CBT counsellor will recognise this and provide the necessary support. Pierre: you no of NO ONE who is obese and exercising regularly and eating properly? All obese people are “full of it” and “in real strong denial”? Wow, that’s harsh. Is Diana Nyad in denial? What about 75% of the Kansas City Chiefs (my team) or, for that matter, 75% of other people’s football teams. What about Oprah (also proof positive that no amount of accountability and resources can assure permanent weight-loss maintenance). What about Janet Cook, the first person to swim the Berring Straight? There are also many non-famous obese people who quietly exercise and eat well with no fanfare. I knew quite a few when I belonged to the YMCA. Please reconsider your judgments. Weight bias hurts people. I don’t deal with weight because of “pain that started it all.” I don’t allow people to treat me like I am some weak, broken emotional wreck or to label me in that way. Some of us can have bodies that manage energy very efficiently and brains that want to think about food and connect it to everything in our lives. Fighting that to manage your weight in an intensely obesogenic environment is VERY DIFFICULT. Even if you think certain situations triggered certain habits, the struggle with weight itself becomes the difficulty. Food is its own driver. Weight is its own stressor. Dagny, well said. Thank you! Very wise words. So how can one move on to that stage of acceptance, or help a client or loved one to do so? I find myself cycling between denial, depression and bargaining–and would love to be able to move to acceptance, so I can fix my weight and my life. Sharon – that’s a great question. I am not a counsellor but there are many who read this – they may wish to chip in with some advice. This is at Sharon- You might just not be done cycling yet. Acceptance often comes when all the other possible versions of reality have been exhausted. When you get tired of running in circles and the reward of one more bite does not seem worth it. When the payoff from the denial and the depression and the bargaining no longer works for you. When that times comes, find a great CBT counselor, come in with a willing heart and and an open mind. Walk in to work, do not expect to be fixed, but rather to be empowered to fix yourself. When that day comes, your counselor will help you open the door and you will have found acceptance. Pierre’s comment is exactly why I brought up the “denial” issue, because this is the kind of thing I hear over and over. Thank you, Debra and Dagny, for pointing out the flaws in assuming that every fat person is an emotional wreck, or a lazy glutton, or “in denial” — an attitude I find frustrating and insulting. While the numbers of obese in EOS 0 or 1 are small, it is still enough that it’s not a total anomaly. I would guess that for people in overweight BMI (where I am — high side of it), those numbers are a bit higher. It needs to be addressed instead of doctors having the knee-jerk reaction of prescribing intentional weight loss to everyone above BMI 25, even if those folks are healthy and weight-stable with good enough habits. If we aren’t being judged as being lazy and deceitful (Pierre), we are judged as being broken emotional wrecks with childhoods laden with abuse. The reality is our bodies are hyper efficient and in some of our cases, due to external drivers to be thin, we engaged in behaviours, like yo-yo dieting, that made our bodies even more efficient. However, thin friends of mine face some of the same labels – if you are skinny, you must be anorexic with an unaccepted history of abuse. How about we agree that we can be healthy people whose genetics and body morphs are different from someone else’s. If we are struggling with mental illness that impacts our physical health, then focus on that and not make stereotypical judgements. 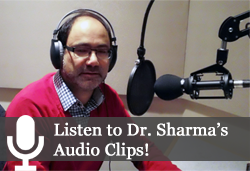 Dr. Sharma, I have bounced back and forth through all of these stages, spending lots of time in denial. It took a lot of work with an addictions counsellor to get me to the stage in which I was willing to go to any lengths to get healthy again. I am on the waitlist for surgery in BC and have been for 4 1/2 years. I don’t have a date yet but I have reason to believe I will have one soon. I appreciate that you recognize that it is sometime a battle to get what we need to get healthy. Thank you for all the work you do on our behalf. Dr. Sharma, so well said! I went through denial, anger, depression for many years. I had people very close to me say “Just cut back on the food and exercise more”. How simple but totally ignorant of the many aspects of weight problems! 3) Blogging about the emotional aspects of food and exercise/motivation. 4) Receiving support from others going through the same thing. 5) Realizing and accepting that we are on a weight loss/maintenance journey for the rest of our life. Just wanted to relate my story and point out that healthy eating and regular exercise has been what I have always done to try to loose weight. It is the other components, the support, the emotional aspects that have pushed me to loose the 9 lbs and accept (final phase) this is a life long journey. I’m not a healthy fat person, although I engage in healthy behavior like daily exercise and eating healthy. I have diabetes type II (runs in the family), and am an eating disorder survivor. But still I just can’t fathom becoming a marathon runner, or undergoing what is, for me, maiming surgery (I realise that is my own opinion, but having known people who had the lapband, and read up on roux en y, I just can’t fathom having these done to me). And I fail to see how that’d mean I’m just not at the “right” stage of my obesity yet. It just means, as far as I’m concerned, that I’m a human being, not a superhero. You talk in your post about having realistic goals. I have indeed lost a great deal of weight, but remain in the obese BMI category, and probably will unless something drastic happens. Eating healthy and exercising, for me, only went so far. Does that really mean I am in “denial” or whatever other stage, that I’m stuck? Just because I don’t want to dedicate my life to a second job that’d be maintaining a slimmer figure? Just because I want a life as close to normal as possible and happen to enjoy reading, writing, and other “lazy” pursuits? Aline: I would not suggest that you are in the denial stage – it sounds like you have looked at your choices and made up your mind – that sounds very much like acceptance. Your approach sounds most reasonable to me. BTW: nothing wrong with “lazy” pursuits – there is indeed much to be said for them. I read Elizabeth Hawksbury’s Huffingpost article (came to my attention via Twitter) after reading Dr. Sharma’s article which I had read at work previously. I, like many of you, had a mixed bag of emotions as a result. Initially I was going to respond to E.H.’s blog; then decided it best to respond here. Although I tend to gain 10 lbs now and then, I have been fortunate enough to be able to lose it again for the most part with diet and exercise, although a few pounds have found a permanent home as I have aged (due to hormonal changes, etc.). I share this as I was sensitive to respond to E.H. as I have not had to deal with being overweight on a continual basis; however, at one time my work environment had me surrounded by many who did and I was often the centre of reverse discrimination: -“What would you know, you’re skinny!” “Oh look what she’s eating…she just wants to show us up because she can!” It was nice to leave that work environment and be in a much more supportive one now. I guess you could say I took responsibility to alter my support system. There are so many factors that come into obesity: psychosociobiological and for each of us it is different. Keeping that open lens while remembering that we are people first who deserve respect can go along way. Both Dr. Sharma and Elizabeth Hawksworh have educated us in this aspect (as well as everyone else who has posted such as Elina Josephson’s non-judgmental approach). Dr. Sharma! These five stages are really important but we have many solutions to solve our obesity problems. Daily exercise is good way to reduce weight. If your weight is reduced then you will be get rid of obesity and other fat problems so, I think we should focus on your weight loss instead of obesity. Drinking of water is also helpful for us to cut our body fats or reduce calories which is very important for our weight loss. Other wise your tips are also best guide lines for us.